Vacuum take-off adapter for Dellorto DHLA and PHF. 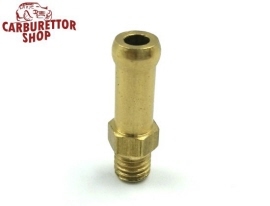 Vacuum take off adapter, will fit standard take off point of DHLA carburetors, DHLB carburettors, and PHF carburettors. Also fits the Weber DCOE series carburettors and Solex ADDHE.